The summary of the 2017 Conference in India, “Environmental Exposure and Preventive Health Care,” is now available. 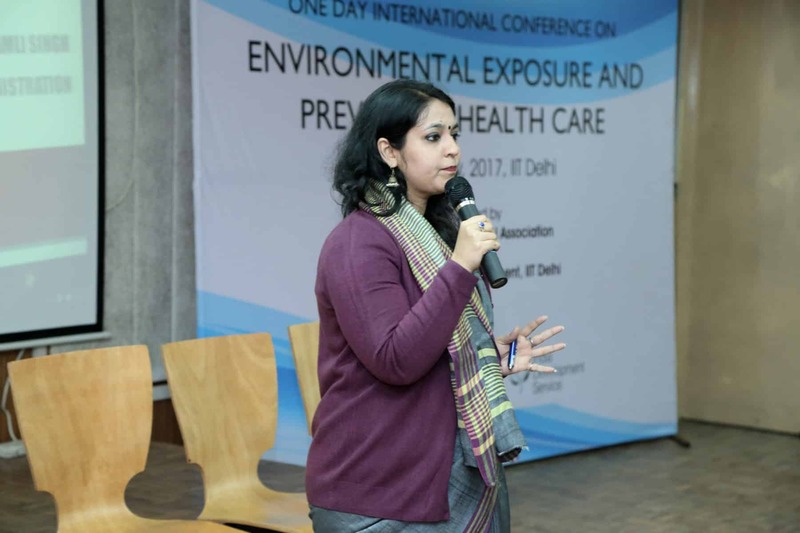 The conference, the third in the series, was held earlier this month on the campus of India Institute of Technology, Delhi. Thanks to IDS board member and conference organizer/presenter Dr. Sameer Prasad for providing the summary! To read the conference announcement and the final program, click here. At right, Dr. Shyamli Singh (Assistant Professor, Environment Management & Climate Change, Indian Institute of Public Administration) speaks at the conference.